In Orson Scott Card’s Ender’s Game and in Ernest Cline’s Ready Player One, young adults and children play games– they play games in dystopian futures, where the idea of childhood and childhood innocence is long past. In these texts, often game play stands in for this lost innocence; we see a game being played, but it is a war game or a challenge in a virtual world that ends with deaths in the real one. What varies dramatically, however, is how these games are managed and controlled. In Ender’s Game, the fact that Ender and his friends are not in control is pointed out again and again, and even when Ender thinks he’s disobeying the rules, he really plays into the hand of the adults overseeing his progress. 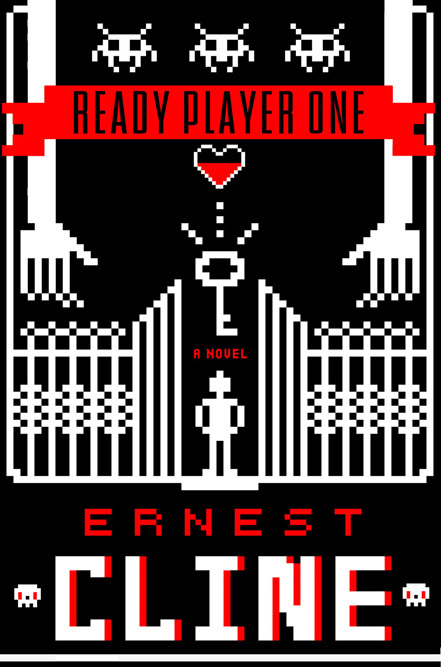 On the other hand, Ready Player One gives us Wade Watts, a teen growing up in a world so obsessed with the paradise of a virtual world OASIS that they can afford to turn away from the broken reality around them, who continually reasserts his agency and authority, although his background and his life experience should dictate that he has no right to. He not only breaks and disobeys rules– Wade manipulates others in and outside of the game space to become the ultimate winner. While both set up the notion that children are literally the future and are naturally creative “players” in any game, Ready Player One seems to reward rule breaking while neglecting crucial conclusions to the narrative, while Ender’s Game reinforces the idea that any move made is one that plays into the hands of those dictating the game. Both Ender and Wade “take care” of themselves, but in radically different ways and while being monitored (or neglected) by the adults around them. When Ender is confronted by bullies, who think he is no longer being monitored by adults, he ends up attacking one of the boys brutally, in self-defense. The officer asks Ender why he didn’t simply stop when he was done, and Ender replies, “Knocking him down won the first fight. I wanted to win all the next ones, too. So they’d leave me alone. […] I had to take care of myself, didn’t I?” (19). Wade, too, takes care of himself, but not for the sake of a game– for the sake of survival. Ready Player One opens with an explanation of the fact that he’s an orphan, living (partially) with his aunt, who takes the refurbished laptop Wade has put together to pawn for money. She tells him it is to “pay his part of the rent” but the suggestion is that the money is for drugs. After, Wade goes to a broken down vehicle that he has made his safe haven, knowing that he’s had to look out for himself from early on, and no one is monitoring or even anticipating his potential. Additionally, the construct of the enemy is one that is set up early in each book. In Ender’s Game, Dink, in explaining why he continually refused promotions, tells Ender that “It’s the teachers, they’re the enemy. They get us to fight each other, to hate each other. The game is everything. Win win win. It amounts to nothing” (108). He emphasizes that fact that he was young– six years old– when he was torn from his family and entered into the school and that since then, he has grown to see things in a very different way. His attempt to pass his wisdom on to Ender demonstrates that he doesn’t want Ender to burn out, or even continue fighting to “win all the next ones” like he had before. Instead, his enemy, in the back of his mind, becomes something else. The complicated enemy structure– the buggers, the teachers, the other student teams– in Ender’s Game is radically different from Ready Player One, which focuses on one main “bad guy”– an international company called Innovative Online Industries (IOI). The company has an “oology” division, dedicated to finding the easter egg placed into OASIS by its creator, James Halliday, to gain possession of the company and its fortune. IOI is certainly a critique of capitalism and the greed of big business, and Wade, in imagining the future of OASIS if taken over by IOI, says, “The moment IOI took over, the OASIS would cease to be the open-source virtual utopia I’d grown up in. It would become a corporate-run dystopia, an overpriced theme park for wealthy elitists” (33). In holding with the “ruthless corporate evil” stand-in, IOI sends bombs into Wade’s home in the “stacks” and plants evidence to make it seem like an accidental explosion– all after Wade refuses to help them pass through the first gate of the three gates it takes to get to Halliday’s easter egg. Ender’s enemy is multi-leveled and multi-faceted; the IOI and the man who runs it, Nolan Sorenson, are more one-dimensional fill-ins for corporate greed taken to a drastic and dramatic level. The act of play and the act of winning are distinctively different for Ender, in the conclusion of Ender’s Game. When Ender finally is moved to command control, under the leadership of Mazer, Card writes “It was pleasure; it was play” (274). For the first time, Ender, with his friends acting under his direct command, has fun against what he is told is a “simulator”. This varies dramatically from the statements about the draining of innocence and the lack of childhood present throughout the later half of the novel. In fact, there’s a clear distinction between a childlike enjoyment of play and the seriousness of the adults– later explained by the fact that they were the only ones who knew what was at stake. Card writes, “The adults taking all this so seriously, and the children playing along, playing along, believing it too until suddenly the adults went too far, tried to hard, and the children could see through their game” (293). It is after this revelation of Ender’s that he realizes he will not play by their rules and instead, implements his own way of “winning” against the “simulated” buggers. The twist, of course, is that those buggers are not simulated and that he had never been playing AGAINST Mazer; he had been playing FOR him, against the buggers, manipulated into annihilating a race and that his “cheating” was simply what the adults were hoping for– a decisive conclusion to the war against the buggers and a huge victory. The games, here, exist on many levels: Ender enjoys the games and seems to have a natural knack for them when he’s in training and he begins to bend, break, and alter rules in order to win; all the while, the adults are monitoring and playing games with him, manipulating until they push him too far, from Ender’s perspective. This final push, however, was the desired end result and it had deadly consequences, along with serious emotional and mental repercussions for Ender. Play and pleasure, as he had initially experienced, are overwhelmed by feelings of betrayal and guilt at the genocide that he orchestrated unknowingly. It’s quite the opposite, however, in the conclusion of Ready Player One. Play and pleasure continue in the final sequence of Wade’s quest for the egg and his takedown of Sorrento, which is facilitated by data that he had downloaded illegally and sent to news channels about the bombing of the stacks and the death of one of Wade’s fellow gunters, Shaito. He has the voices of his friends to cheer him on in the last levels of the game and is rewarded by becoming invincible in game and extremely wealthy outside of the game (though he, of course, benevolently agrees to split the money four ways with his friends ahead of time). But, with all the pleasure of game play and the satisfaction of winning– both against a computer and against the archnemesis of the book– a message comes across loud and clear: that it is time to move into the ‘real world’. The plan of his love interest, Art3mis AKA Samantha, is to use the money gained by retrieving the egg to rebuild the broken world around them, and Wade comes on board with that plan in the last few pages of the novel. Halliday’s avatar, in his final words programmed into the interaction he has with Wade, is that he realized too late that the outside world matters and that he should have experienced that rather than spending his time in games. The last lines of the novel, as Wade and Samantha first kiss, are as follows: “It occurred to me then that for the first time in as long as I could remember, I had absolutely no desire to log back into the OASIS” (372). 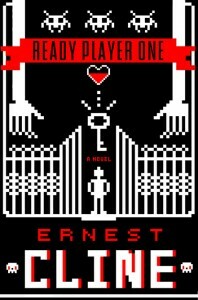 Both Ender’s Game and Ready Player One conclude with a task or quest of sorts– Ender’s Game continues into other stories, while Ready Player One implies the epic rebuilding of a world broken by climate change, economic depression, and general disaster by four teenagers and an eccentric billionaire– Halliday’s partner, Ogden Morrow. Ender feels guilt and horror and proceeds, but still has the skills that he learned through the commander training, while Wade simply has amassed a fortune that could help but has no means or knowledge of how to help the broken infrastructure of a broken world. While Ready Player One has a sweet and uplifting ending, it has troubling implications of what it would take to fix “reality” (ridiculous amounts of money). Wade maintains his individuality and his agency throughout the story as the unprepared-but-somehow-luckily-selected teenager, but at the cost of the end of the story, whereas Ender’s agency is rarely his to begin with. Both teens play, and both pay a price, whether they are aware of it or not.